I set out, once again, across the fields with Mossy and my Gun. The wind was blowing hard from the west and would no doubt soon bring in rain if the clouds that loomed on the horizon were anything to go by. Down through the rabbit field where I let Mossy have a course to settle him before we reached the banks of the river Blackwater. We turned north following the course of the river bank. The wind was more in my favour now but it had brought the rain which those clouds promised and it hit the side of my face in cold sleety splashes. Mossy walked beside me, lifting his head in the wind every now and then in search of scent but all was quiet. This season has been the making of him as a working dog. He has become a pleasant companion to take on these forays and is filling his father’s shoes by taking his place with Des on the shoot in Shelton. The fields that run along the river here are narrow and divided by deep water channels. It means plenty of time is spent breaking the gun, unloading and guaging distance as to whether I can jump the ditch or wade across without filling my wellies. We were heading for the maize field at Mullens. The river swings right here, in a big lazy arc and is slower and wider. Earlier in the season I had seen a flock of twenty teal on this part of the water so I was hoping, that if left undisturbed, they would still be there. I got my gun ready…. Something rose from the ditch in front of us then disappeared, it looked like a bird of prey. Mossy ran in to investigate,it was a bird of prey all right, as Mossy returned carrying it carefully, the bird’s talons wrapped around his muzzle and its beak making valiant attempts to remove his eye! With a gloved hand I took it by the wings and removed it from Mossy’s care. No damage done to dog or bird. 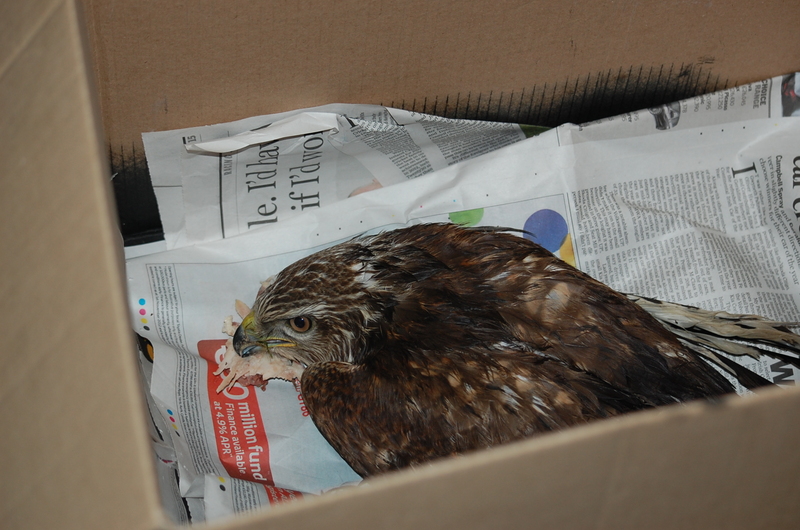 It was a young male buzzard, in poor condition. It’s breastbone was very prominent and its mouth was very pale indicating it was cold and weak. I don’t know why I didn’t put an end to its misery there and then, maybe its brave attempt to fight off the dog with the last bit of energy it had or the knowledge that all birds of prey are protected and should be reported. So I took off my coat and wrapped the bird in it to hide its head and keep it calm. 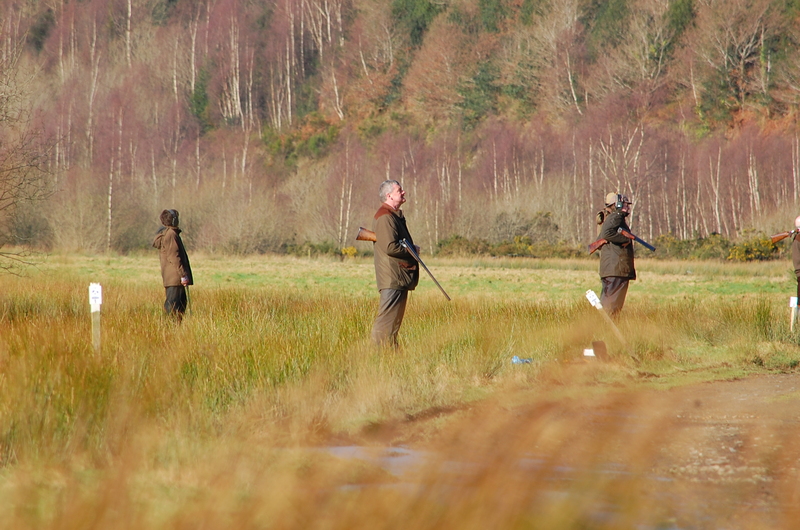 I unloaded my gun, put the cartridges back in my belt, looked longingly down river and headed for home. 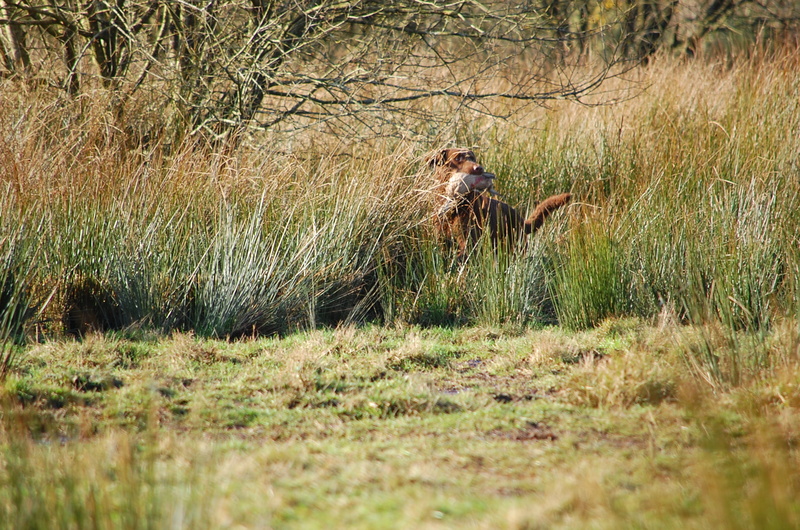 Mossy was happy, he had his retrieve with or without gunfire. Back at the house, I found a cardboard box, lined it with newspaper and put the bird inside. I left him with a chicken carcass, carefully covered the top with a light piece of basket and added a weight just to be sure. It reminded me of all the times we rescued wild animals as kids. Everything from crows, pigeons , robins and even baby hares found their way to our hotpress…they never survived but it never stopped us trying. This bird’s best chance would be with an experienced falconer, I would check on it later to see if still survived. Later that day I was in my local shooting shop on other business and was telling the story to the guy behind the counter. He immediately rang a friend of his, a falconer called Sam, who lived locally and has a special interest in taking wild raptors and looking after them until they are ready for release. He works in conjunction with local vet Dr Carolan. It was late evening by the time Sam called to collect the bird. He confirmed it was a young male buzzard, probably this year’s bird and most likely had been mobbed by crows and got tangled in branches which may have injured him. Regardless, I felt that if he had survived this long it looked hopeful that he may make a full recovery.I rang Sam on Monday and he had sad news. The buzzard seemed to have been making progress, he had started eating and the vet had xrayed him and found no fractures or other injuries. When Sam checked on him on Sunday morning he was dead. The vet’s conclusion was either poison or shock. Today was a good day. Very early this morning I said goodbye to Des and Mossy as they headed North to Drumbanagher to attend an Open stake field trial. Our hope was that Mossy would pass his field trial qualifier and like his parents, Winnie and Chester, become our third full champion in Ireland, the UK and under FCI rules. I was destined for Dublin with Uisce to attend an Open show, her first since the incident with the doberman last December. Uisce did well, she went BOB stood for examination and moved out well. She is showing that her confidence is returning but is still wary of other dogs at times. I will continue taking her along to Tuesday night classes for the foreseeable future until a more balanced attitude returns. She finished the day by going BIG4, far exceeeding expectations for the day! A phonecall from Des just after 4pm to confirm Mossy had indeed passed his qualifier really was the news to cap our season off. He is a dog that has presented me with many challenges in training. It took time for us to figure him out. He was a very laid back puppy with masses of potential, then when adolesence hit he lost focus for a while, we eased off the pressure of training and took him along at a much slower pace. Although he loves me to bits he works best for Des and that really has been the key to unlocking his full potential this year. Our last day picking up at Shelton, next week is beater’s day when I plan to be on the gun line. There’s always a feeling winter slides by too quickly and too soon I’ll be putting away my game-carrier until next year. It encompasses every single part of our lives during those months and although I look forward to spring with longer evenings and warmer days, ( hopefully), I will be sad to leave this season behind. Coming in from the last drive at Shelton. The teal that have sat on the pond in Foley’s wood have, up until now, got the better of me. 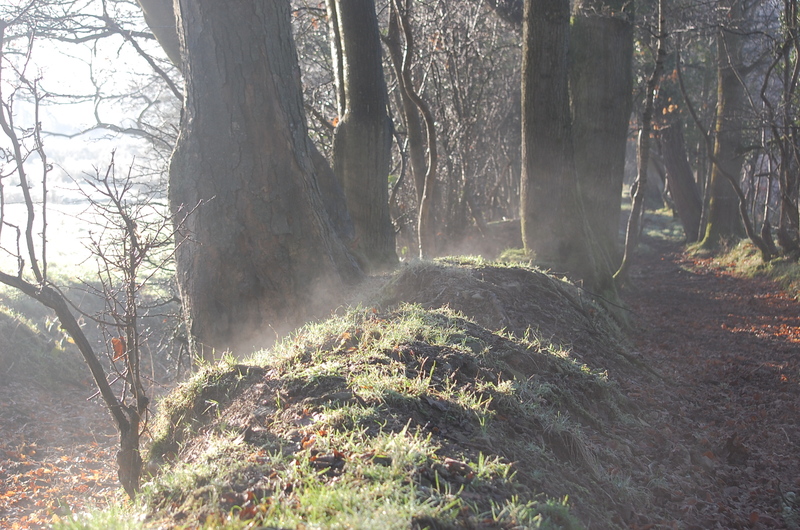 The high water around the wood has left it pretty much inaccessible throughout the Winter. This morning, though, I had a plan. I pulled on my waders and for the final time this season headed out across the potato field, down through the narrow strip of woodland with the blackbirds calling out ahead of us and turned left to the back of the wood. There was only one point in the woods from which the birds, if they were there, could break cleanly from. I pulled out wide into the field and turned towards the wood. The wind was at my back, not ideal but…then up from the edge of the wood rose a flock of 7 mallard. They rose to the north then swung back in front of me. I lifted my gun and fired, they were too far and I possibly didn’t give enough lead. I was just reloading when a flock of 14 teal rose from the same spot in the woods and pulled off over the trees. My chance was gone, I walked slowly forward with Chester at heel. At the edge of the wood I stopped and sent him on. He had just cleared the ditch when a female teal rose up through the trees in my direction. I fired once, she folded and fell in the field and was brought to hand by the old guy, Chester. We gathered in the yard at Mountainstown for one last time this season. 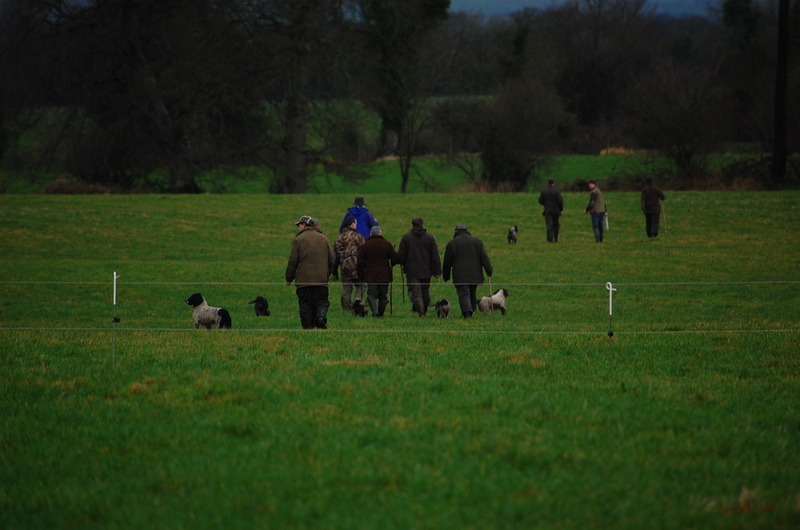 The drives today were some of my favourites – the fish pond, Keepers pen, the decoy, Romwood and the garden paddock. Bertie was still nursing an infected paw after picking up a prod here a couple of weeks ago and Mossy needs to start building condition in readiness for Crufts in March, he has dropped 6kgs in weight despite being fed double rations during the season. So it was Winnie and Uisce that accompanied me around the fields this morning. 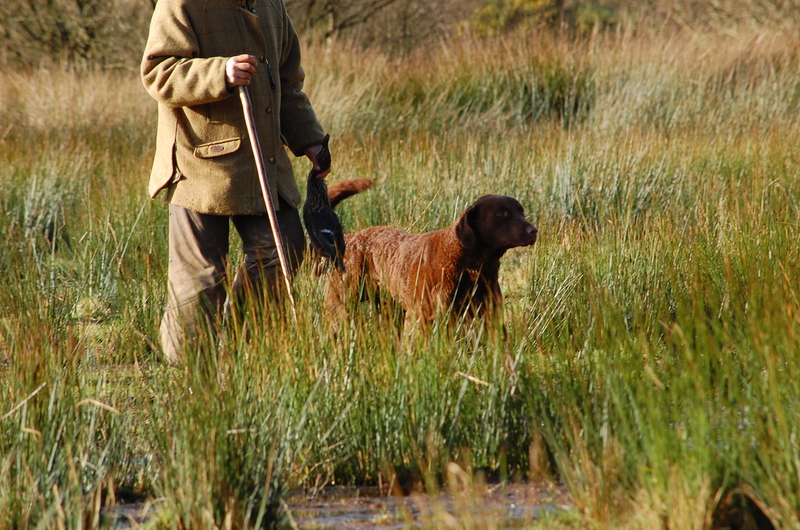 The retrieves were not many nor unusual but just solid gamefinding work, Uisce following her mother, learning her craft, making sense of where birds lie in cover, watching her reaction to the gun, soaking it all up and filing it away for next season. My dogs that have shadowed me throughout these days, all have had a role to play. Bertie was my anchor dog at Mountainstown but a bad injury after christmas has left him out of action since then. Mossy was the one we started slowly with, easing him into Shelton but he settled to the job incredibly well and by season’s end he has been my mainstream working companion filling in for Bertie at both shoots as well as accompanying me out roughshooting.. Chester who we took out of semi-retirement soon showed us he wasn’t quite ready to hang up his boots at Shelton just yet…his gamesense and gamefinding ability will be difficult to match in the future. Winnie, like Mossy, this year has been my all-rounder… always there, always reliable I can take her anywhere and she will adapt to the situation at hand. And finally my two young ones, Zoe my little gun shy springer, who I used for dogging in early in the season, suddenly decided guns no longer bothered her and has had a ball covering the back of the Oaks drive at Shelton with the chessies. Uisce, also only taken out since christmas and only sweeping with the adult dogs. I have not put pressure on her to sit in line on or off lead. 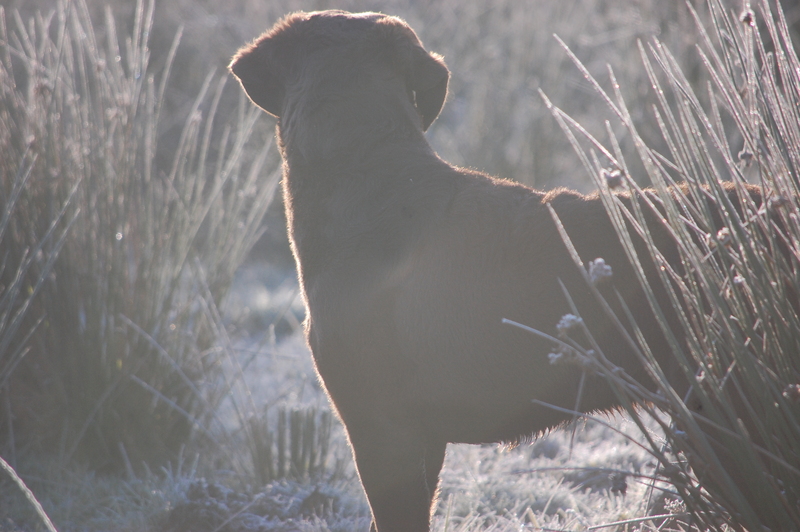 This season, for her, was all about soaking up the atmosphere following the older dogs as they hunt before formal gundog training begins in earnest in the spring. 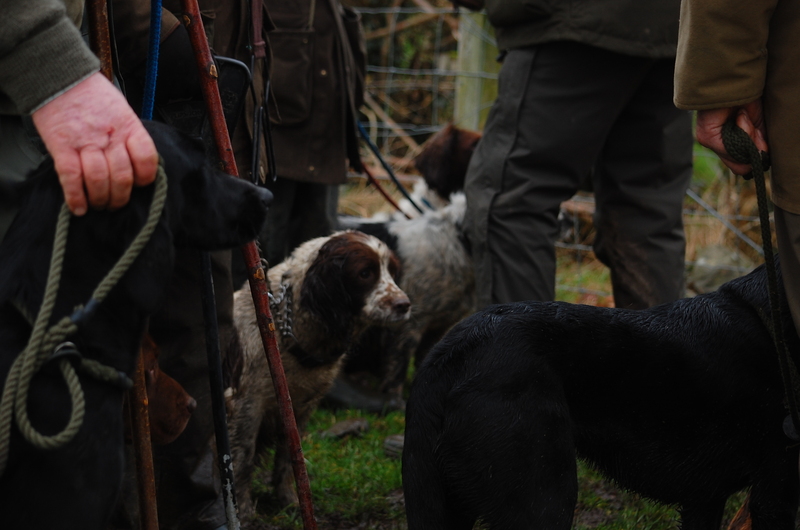 We are coming in from the fields now, my brown dogs and me. Our steps are not as light as they were when we disappeared into the woods last November . I have dirt embedded deep under my fingernails and my hair has a wildness about it which the hairdresser may raise an eyebrow or two. My dogs have lost weight, show condition replaced by hard fit muscle, the hair around their face and eyes is gone and when I run my hands along their backs it is rippled with scabs from working through gorse and brambles but our eyes tell a different story…we have shared something together in those dark days of Winter and as we glance back over our shoulders one last time we know we will have that time again.. 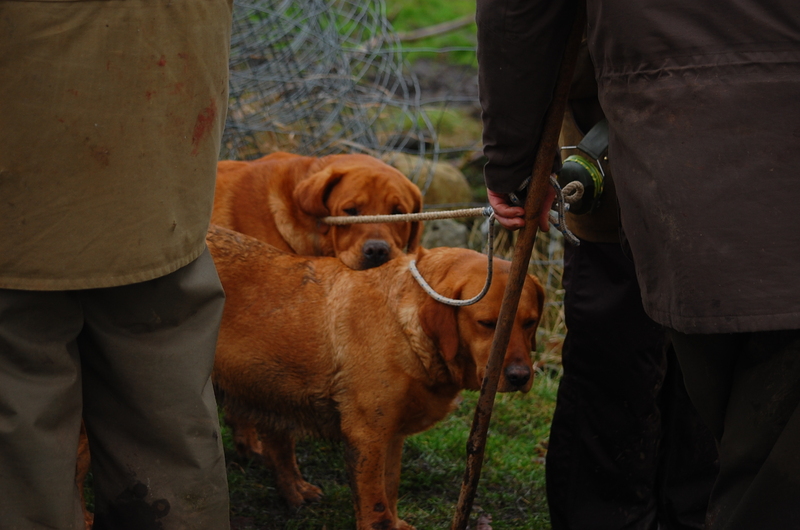 This entry was tagged dogs, editors, gundogs, hunting, nature, publishing, wildlife, writing. Bookmark the permalink. 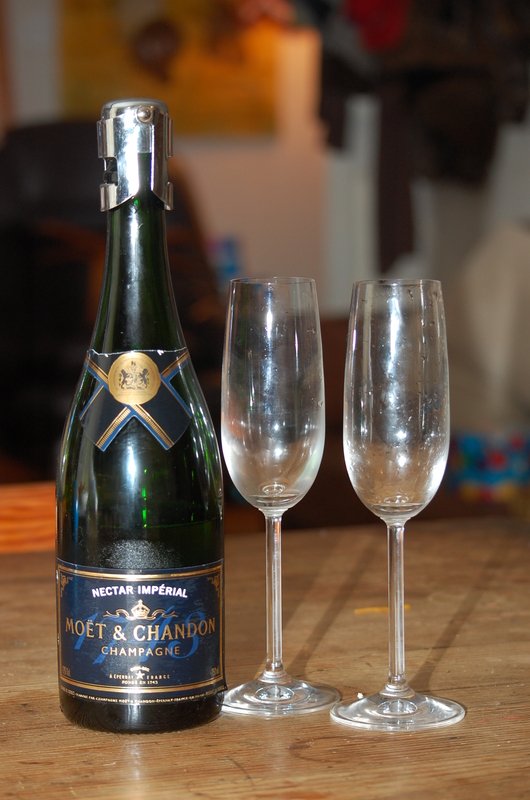 Thank you Barbara, it’s been such fun…. 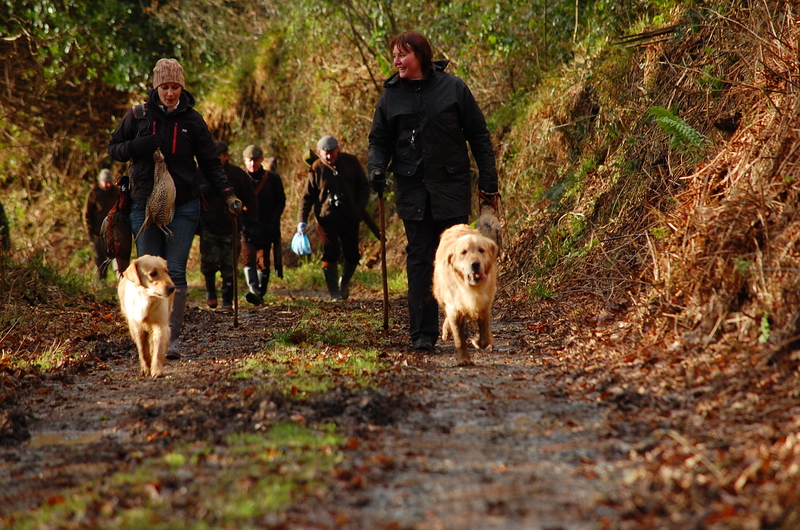 Well done to all at Riverrun, this blog shows that our beloved breed is a true all rounder whether they be working in the field, standing in the show ring or just cuddled up by your feet. A fantastic read Mary thank you. Thanks, Mary. That’s an exceprionally evocative piece. Thank you Colum, I hope you mind that blue jacket well ’til next season.